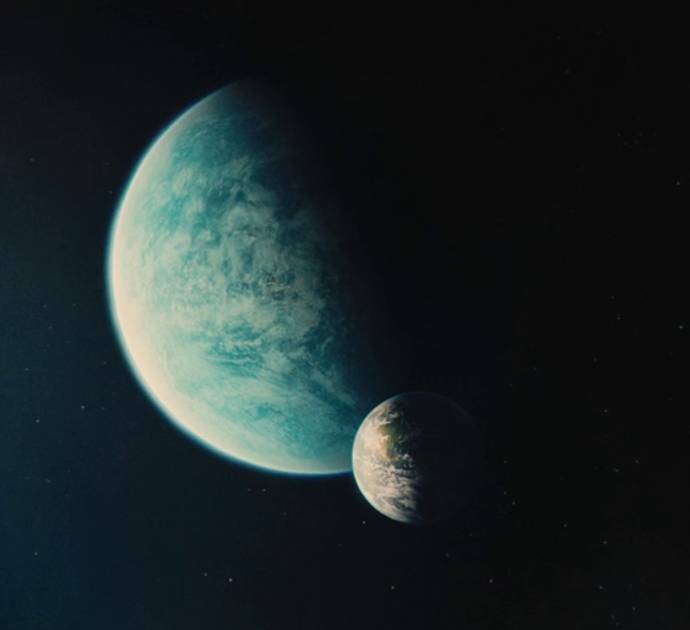 Well, I saw the movie, and I loved it, and of course, I thought about whether I could find that beautiful (and deadly) blue world in Space Engine. Now, you can think about that too! So, here are some reference pictures- it's rated R here in the states and who knows what in other countries with rating systems I'm not acquainted with, so you don't have to see the film to know what the planet looks like. 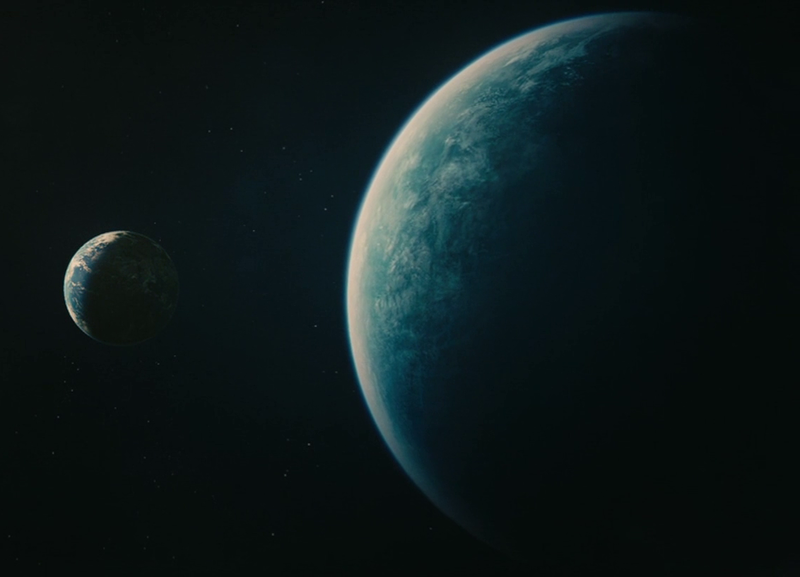 From what I can tell, it's a large, rocky planet. I think that the original plan was for it to be a gas planet, and that's what was used in the initial planning of the movie, but its appearance, especially the clouds, suggest it is a rocky terra, like Earth, with continents and an ocean- this is apparent from ripples seen on melancholia during the collision. The diamater appears to be about 4-5x that of Earth. 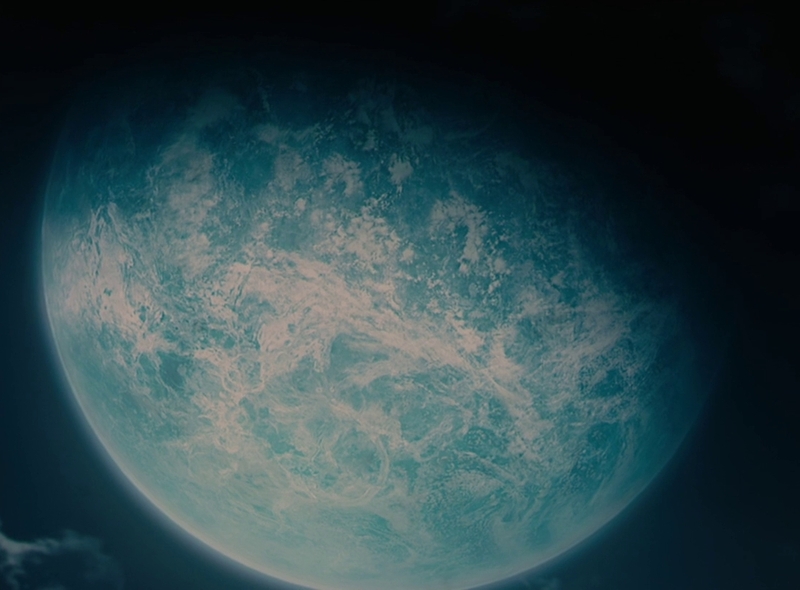 Now, the planet has it's blue color in the same lighting conditions as Earth, so that means that it's only going to count if it really is blue. No looking around blue stars- that won't count here! It has to be a star with white (or very very light yellow) light, like our sun. I'm going to assume your images were over the 600kb limit so you're going to need to upload them elsewhere if you want anyone to be able to see them. Oh, crap! Fixing this now. The diamater appears to be about 4-5x that of Earth. Problem = the max size I have seen for rocky planets is the upper 30.9k km in diameter. So you can't find a planet that size. So you can't find a planet that size. Unless there's an upper limit, then it exists somewhere. Hence, the title "challenging challenge". I've found some pretty big ones but nothing nearly that large. Just now while looking around I found a Terra with like thats almost twice as big as the Earth but doesn't fit the criteria of what this thread asks for. Also I don't think my entries would count since my Milky Way system file is different. I'll keep looking as I do enjoy scavenger hunts. Probably 31k km. I haven't found any planet bigger than 30.9k km, and I've found at least 30 of them that size. Terrestrial planets cannot get that large. 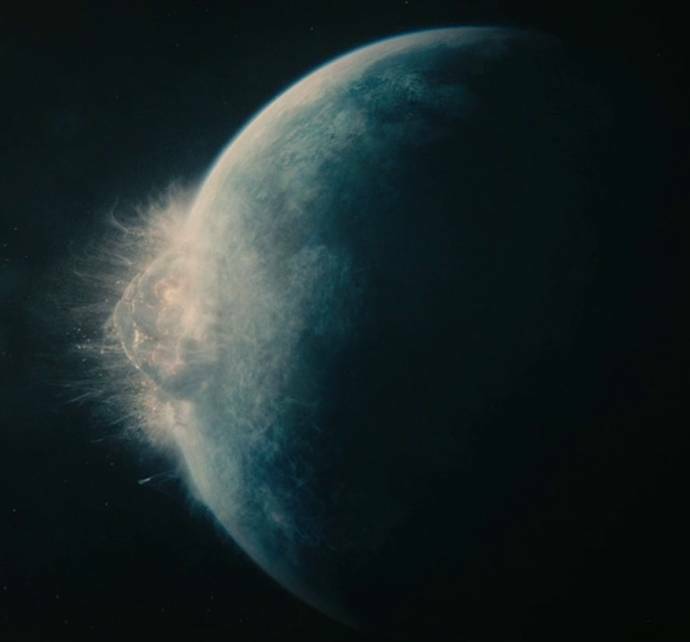 It'd have to be a water world or a Neptune-like planet. 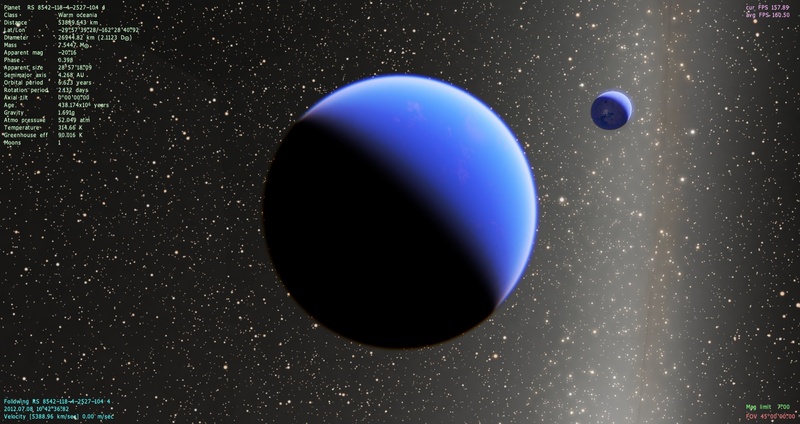 A pure-water planet with 4 times Earth's radius would have a mass around 100 Earths. I know it isn't quite what you're looking for, but I found this just before reading your post and it reminded me of the pics you posted. Anyway, I hope you like it.